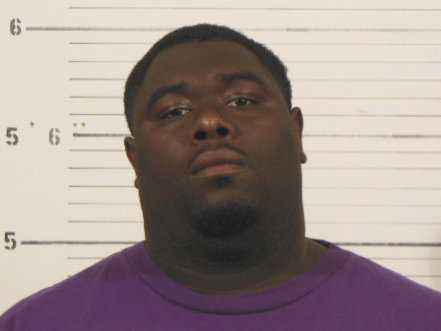 Police arrested Alvin Golliday at Lincoln Middle School in East St. Louis for peddling dope to kids. A drug sweep at Lincoln Middle School in East St. Louis showed the kids didn’t have any drugs, but police said the guy who was supposed to keep them safe was peddling dope at the school. Security guard Alvin Golliday, 29, of Cahokia, was found to have marijuana in his car when drug investigators with police dogs searched through the school starting at 9 a.m. Friday, police said. He was charged with possession of cannabis with intent to deliver on school grounds. The sweep was conducted by the St. Clair County Sheriff’s Department and the department’s Drug Tactical and Street Crimes units. The Belleville Police K-9 union also assisted. “We want to keep kids in a drug-free environment. We will assist anytime anyone asks,” Sheriff Rick Watson said.